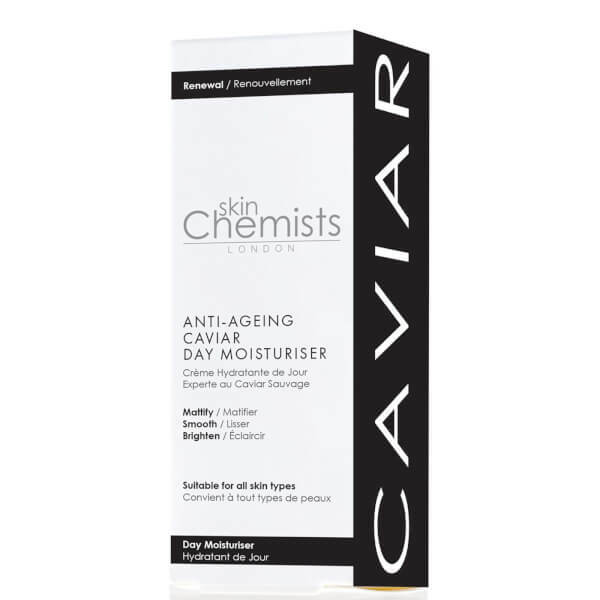 Deeply hydrate skin with the Anti-Ageing Caviar Day Moisturiser from skinChemists London; a lightweight day cream that aims to mattify, smooth and brighten your complexion. 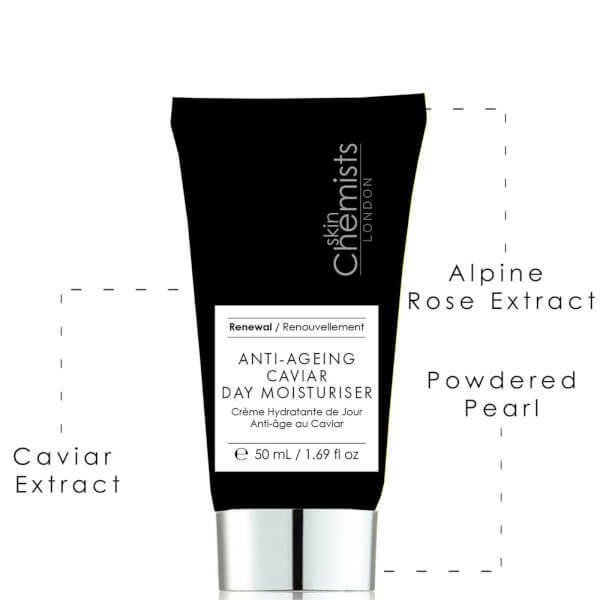 Powered by highly-nutritious Caviar, the formula helps to improve the appearance of fine lines and firmness of skin, whilst balancing uneven skin tone simultaneously. 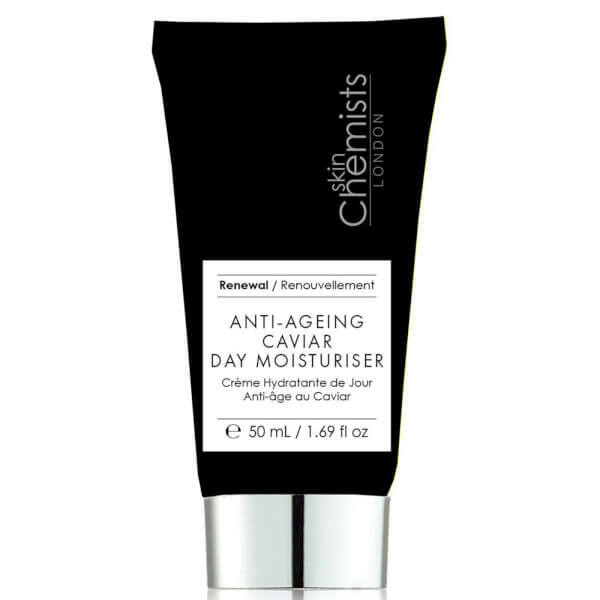 Packed with antioxidants, the moisturiser protects the skin from external aggressors that cause premature skin ageing. 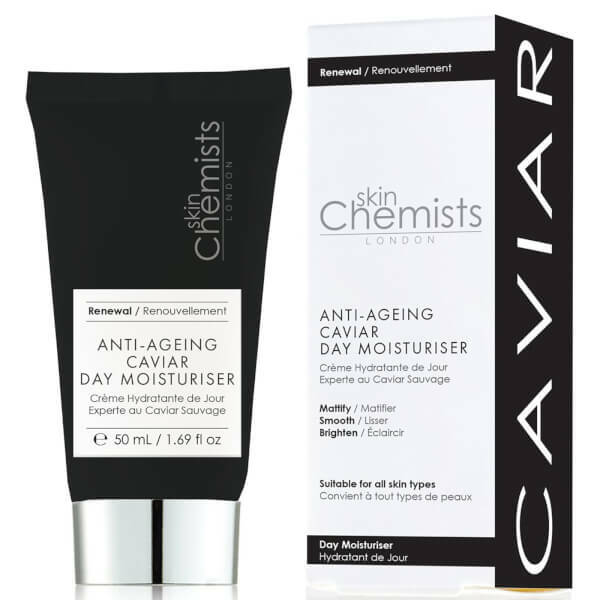 Suitable for normal, dry and combination skin types. Aqua (Water), Glycerin, Glyceryl Stearate SE, Cetearyl Alcohol, Stearic Acid, Cocos Nucifera (Coconut) Oil, Isoceteth-20, Phenoxyethanol, Subtilisin, Benzyl Alcohol, Carbomer, Polylactic Acid, Hydrolyzed Caviar Extract, Dehydroacetic Acid, Butylene Glycol, Parfum (Fragrance), Polysorbate 20, Aloe Barbadensis Leaf Juice Powder, Hydrolyzed Roe, Ascorbyl Glucoside, Rhododendron Ferrugineum Leaf Cell Culture Extract, Ethylhexylglycerin, Hippophae Rhamnoides (Seabuckthorn) Fruit Oil, Pumice, Isomalt, Benzyl Salicylate, Hydrolyzed Actin, Glucose, Hydrolyzed Pearl, Limonene, Pelargonium Graveolens Flower Oil, Snail Secretion Filtrate, Hexyl Cinnamal, Citronellol, Butyrospermum Parkii (Shea Butter) Seedcake Extract, Tocopheryl Acetate, Geraniol, Linalool, Citrus Aurantium (Neroli) Flower Oil, Dipeptide Diaminobutyroyl Benzylamide Diacetate, Charcoal Powder, Fucus Vesiculosus (Bladderwrack) Extract, Disodium EDTA, Sodium Benzoate, Propylene Glycol, Sodium Lactate, Lecithin, Gardenia Tahitensis (Tiare Flower) Extract, Lactic Acid, Palmitoyl Tripeptide-1, Rosa Damascena Flower Oil, Palmitoyl Tetrapeptide-7, CI 17200 (Red 33).